While Stone only gave a brief overview of what it would entail, as the name implies, it sounds like it will basically be a beginners guide for using the service effectively. Something like this is crucial if Twitter is going to convince businesses to sign up en masse. When most people, let alone businesses, look at Twitter for the first time, they still have no idea what they are supposed to do with it. So this guide will be a set of use cases, techniques and best practices, among other tips, to help users get acclimated to the service. “The level of engagement is less than the level of awareness about it, and we want to change that,” Stone said. Twitter wants to teach people to use the service via these docs. And also get people hooked on trends and searches of their brands, Stone noted. It’s through businesses using Twitter that the service plans to make money. While there are no plans to ever charge regular people to use it, businesses that are either selling items or providing support to customers through Twitter, are likely to be charged down the road. But Twitter needs to make sure the service is as business-friendly as possible first. Hence, a “Twitter 101” service. 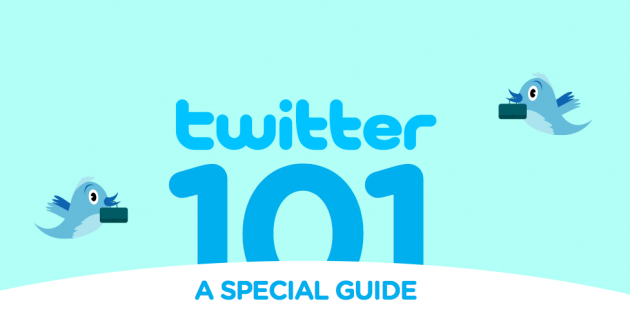 Again, look for Twitter 101, which we imagine will be some kind of site linked to from the main Twitter site, either later today or tomorrow. Update: And here it is. As expected, it’s a site that contains documentation for how businesses can best use Twitter (you can also get the documents in PDF form). We coordinated with business students and writers to surface some interesting findings, best practices, steps for getting started, and case studies. The results demonstrate how customers are getting value out of Twitter and suggest techniques businesses can employ to enhance that value. While this work was envisioned for businesses, it’s also useful for anyone using Twitter so have a look if you like. The site contains six sections. They are: “What is Twitter”, “Getting started”, “Learn the lingo”, “Best practices”, “Case studies” and “Other resources”. One thing we noticed is that the site contains links to a new subdomain: business.twitter.com (it looks like a lot of these links have been changed back to twitter.com, but business.twitter.com is there, and it works). It works on and off, but if you put in a brand name, like “bestbuy,” it will redirect to that company’s Twitter page. This would seem to indicate that Twitter may be thinking about hosting its business accounts on this business subdomain. Or perhaps that is how they will allow businesses to access their special accounts (when those eventually launch). It does not appear to work for personal accounts. Another thing that immediately jumps out about Twitter 101 are the case studies. They come from the likes of Dell, JetBlue, Teusner Wines, Current, Tasti D Lite, CoffeeGroundz, Etsy, NAKEDPizza, America Apparel and Pepsi. They are pretty well done, and show that even early on in Twitter’s lifespan, without much support, companies are having no trouble figuring out how to use the service for business purposes. Twittering is the sound birds make when they communicate with each other—an apt description of the conversations here. As it turns out, because Twitter provides people with real-time public information, it also helps groups of people mimic the effortless way a flock of birds move in unison. On these pages, we’ll show you a few examples of that powerful Twitter characteristic. Twitter is a communications platform that helps businesses and their customers do a number of useful things. As a business, you can use it to quickly share information with people interested in your company, gather real-time market intelligence and feedback, and build relationships with customers, partners and other people who care about your company. As an individual user, you can use Twitter to tell a company (or anyone else) that you’ve had a great–or disappointing–experience with their business, offer product ideas, and learn about great offers. Below, find some screenshots of the sections.